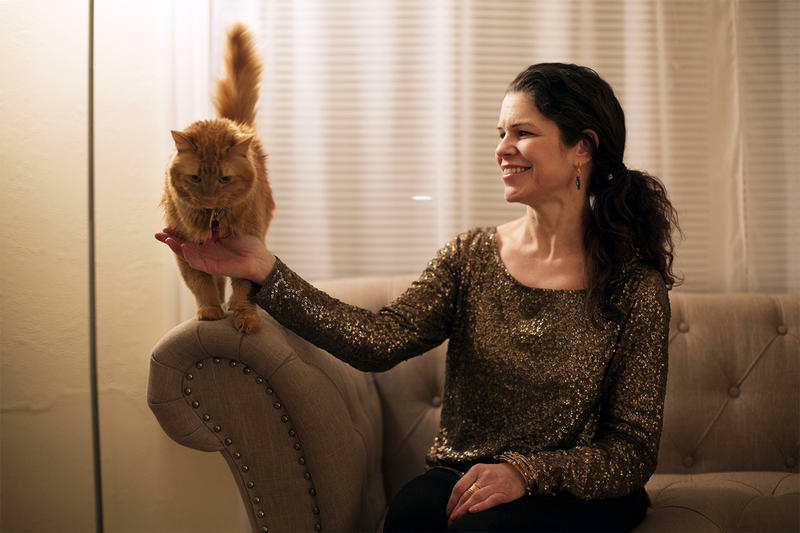 Matt the Cat's human mom, Maire Murphy, said Matt's brother Oliver is doing okay, but he's a little needy since his best buddy has gone missing. Matt looks a lot like Oliver but he was heavier last time Murphy saw him. Matt the Cat (left) and his brother, Oliver, before Matt left home. An empty cat carrier sat on Maire Murphy's front porch for more than two months, waiting for Matt the Cat to wander in. A new Matt the Cat poster that's finding its way onto T-shirts. It started back in November. 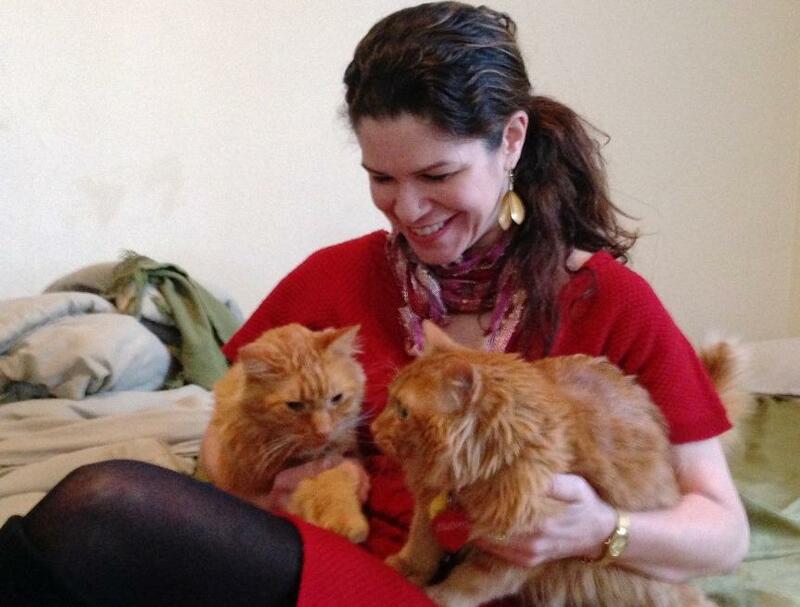 Matt the Cat — a large, fluffy, orange, indoor cat who’d rather curl up in your lap and snuggle than chase a toy — had lived happily for seven years with his human mom, Maire Murphy, and his brother, Oliver. “He’s just a people person. Well, he’s not a person; he loves people,” Murphy said. But then, one day about a week before Thanksgiving, Murphy said she was getting ready to leave the house when she saw something out of the ordinary. This Matt the Cat poster is one of about 100 you'll see in the Tower Grove South area. Murphy, who works in the American Culture Studies program at Washington University in St. Louis, immediately began putting up dozens of bright yellow flyers, offering a $300 reward. She also posted Matt’s picture on pet finder websites and the members-only Tower Grove South Facebook page. 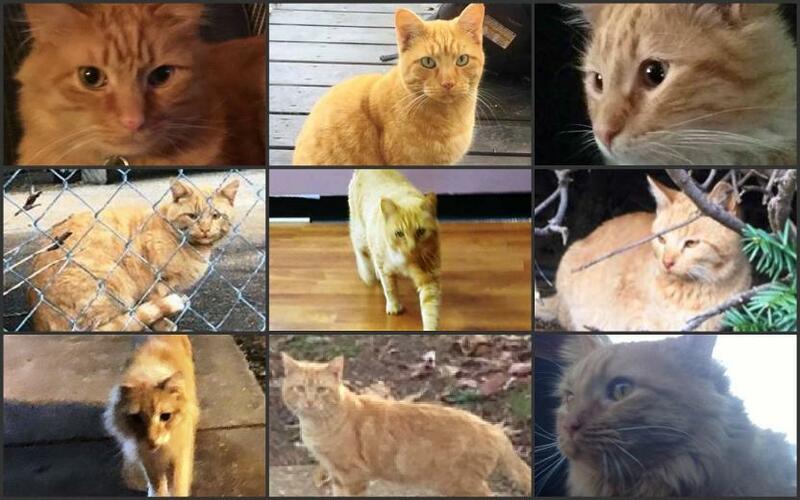 Two months after he disappeared, she is still getting Facebook posts, texts and calls every day from people who’ve seen orange cats — hundreds of responses so far and more than a dozen photos of orange cats that didn't turn out to be Matt. 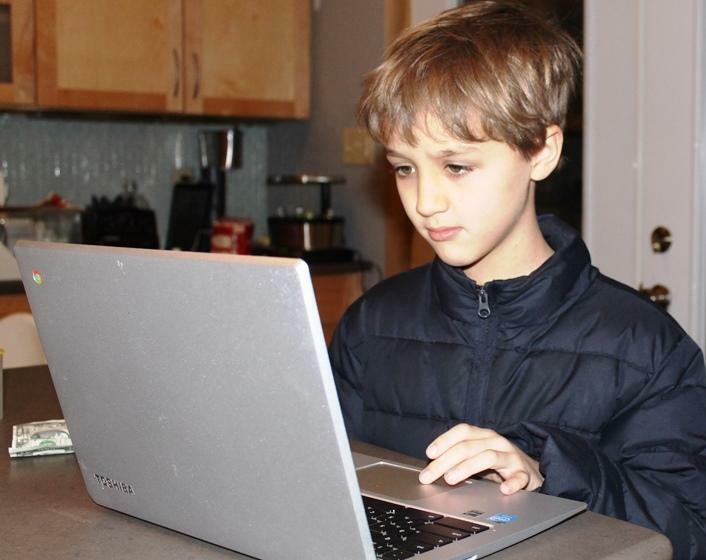 Milo Marston, 7, made a Matt the Cat animation using a website called Scratch. Even neighborhood children are looking for the cat. Seven-year-old Milo Marston put together and published a musical animation, which reads: "Matt the Cat, orange and fluffy, last seen on Connecticut Street in St. Louis, Mo." "And he’s saying, ‘I’m lost right now,'" Milo said. Milo hopes putting his work online at a Scratch community site will help bring Matt home. "Now the whole world will see it," he said. Milo’s mom, Amanda Doyle, became obsessed with the search. 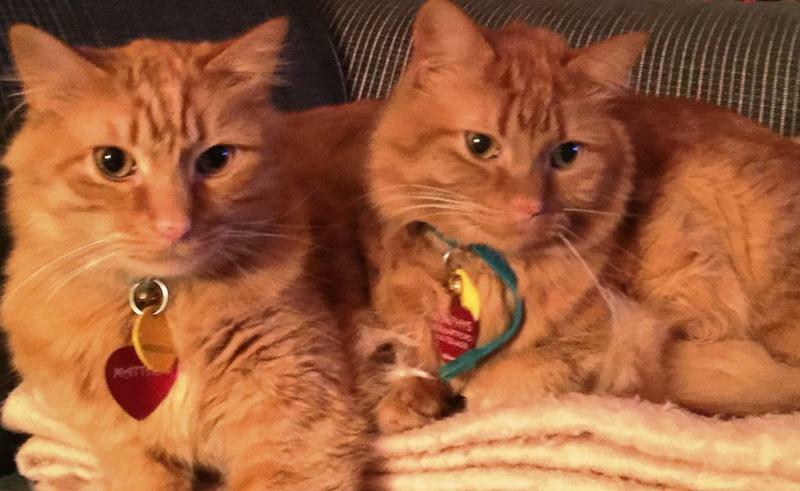 These are just some of more than a dozen photos of orange cats that people have sent Maire Murphy. Can you guess which one is Matt? The saga’s had many ups and downs. Last month, someone sent Murphy a photo that looked just like her cat. They met up and the cat leapt into her arms. Murphy was positive it was Matt, but the next day, she took him to the vet to scan for an ID chip, just to be sure. "And when they said, ‘This is not your cat,’ I said, ‘No, no, no! Clearly, your scanner’s wrong.’ They said, ‘No, this cat is Tomato, Tomato the Cat,’” Murphy remembered. 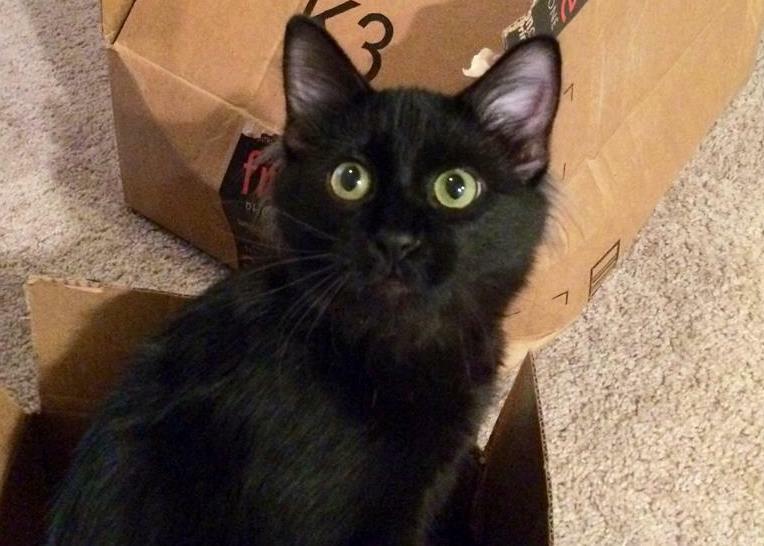 Murphy found Tomato’s real home and returned him to a family who’d been looking for him. 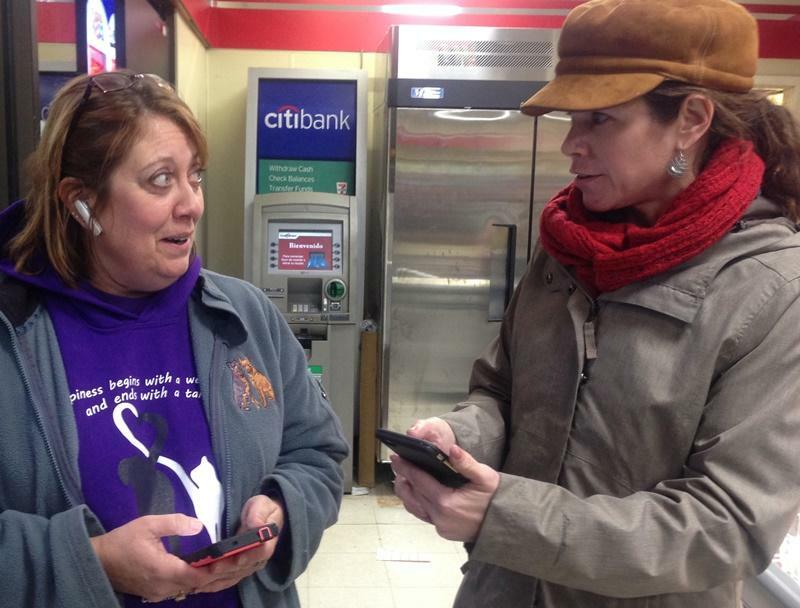 The next time Murphy received a Matt look-alike photo, she asked “Lost and Found Paws” volunteer Tina Roe to bring a chip scanner to a scheduled meeting at a convenience store. Tina Roe and Maire Murphy talk about the number of people following the planned convenience store rendezvous on the Tower Grove South Facebook page. As they waited, Roe said she looked at her phone and noticed people were closely monitoring the situation on Facebook, with comments showing up every minute. One post read: "It doesn’t take 11 minutes to scan a cat." Thirty minutes passed, then an hour. It began to look like a no-show. Roe told Murphy not to give up, that cats sometimes come back years later when people discover they’re actually missing pets. “People take them into their homes. Then it’s not until they take them to the vet and have them scanned or whatnot and then find the chip,” Roe explained. More than just a cat? Still, for Murphy, it was an emotional end to a tense night. She said she was trying not to get upset, but she wondered how long she should keep up the search after what she began to think was a possible prank. Followers responded to the false alarm by ramping up the publicity. One created Matt’s own special Facebook page, posting from Matt's point of view; another opened his Twitter account. We are all Matt the Cat. Night Owl Pub just named a drink in my honor - the Matt the Cat: Bourbon, ginger, and aperol (orange!)! Drink up! A few people on social media said they’re tired of the whole episode. But Murphy kept going. 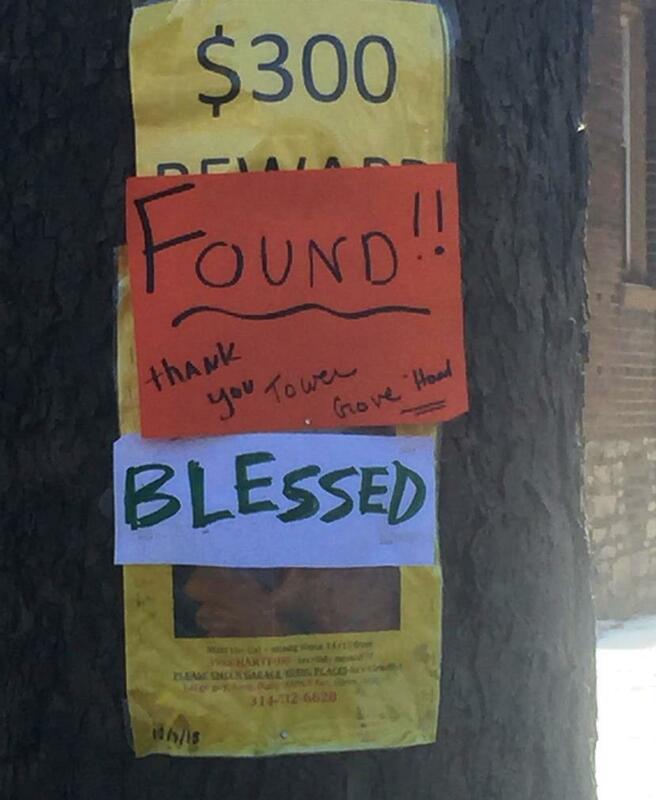 Reported sightings kept coming in, some as far away as the Shaw area, across the nearly 300-acre Tower Grove Park. 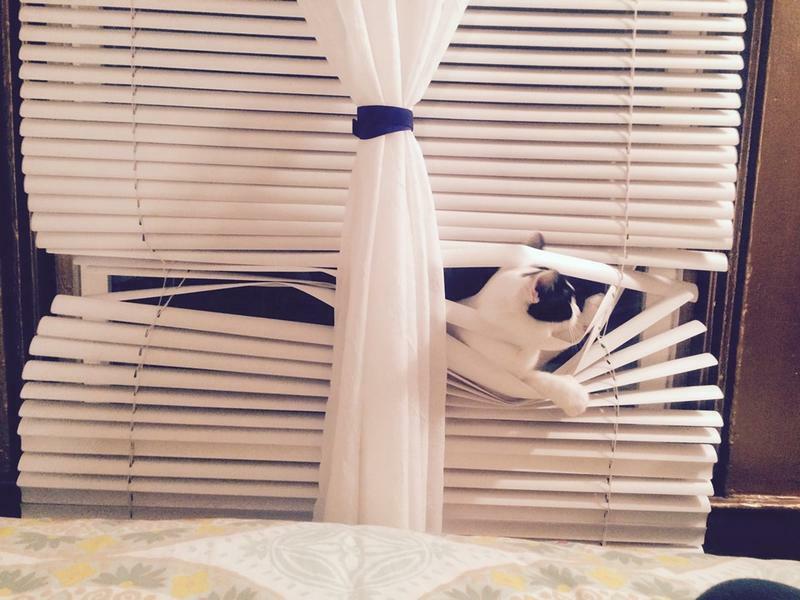 “When I heard his meow on the porch, I said ‘that’s his meow, that’s definitely his meow,” Murphy said. Neighbors helped wrangle the cat into Murphy’s car and she drove him home. Roe brought over her chip scanner for confirmation. It was indeed Matt the Cat, home at last. "We just exploded, like, 'Oh my God, I can't believe it.'" Murphy said. Maire Murphy with Matt and Oliver, together again after more than two months. Matt is on the left, thinner but in seemingly good shape. 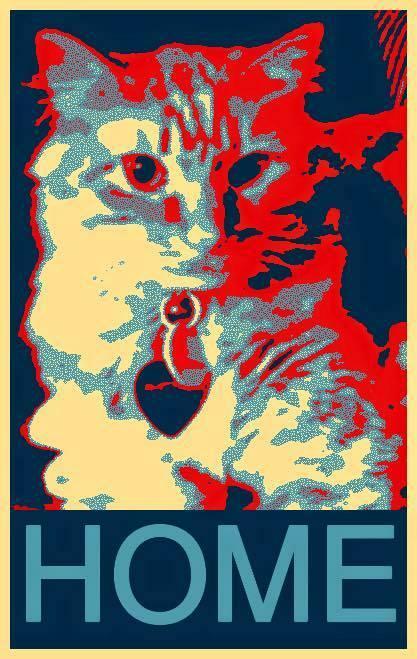 Murphy’s posting of “Matt the Cat is home safe!!!!!! Unbelievable!” blew up the Tower Grove South Facebook page with more than 900 likes and 250 comments. Murphy said the response is about more than just a cat; it’s about a community of people like those who handed out missing-cat flyers in freezing weather. Neighbors adorned some of the signs with news of Matt's homecoming. Neighbor Amanda Doyle, who’s been glued to the search, says this kind of bonding validates living in the city, a place people regularly talk back and forth from porches and on sidewalks. 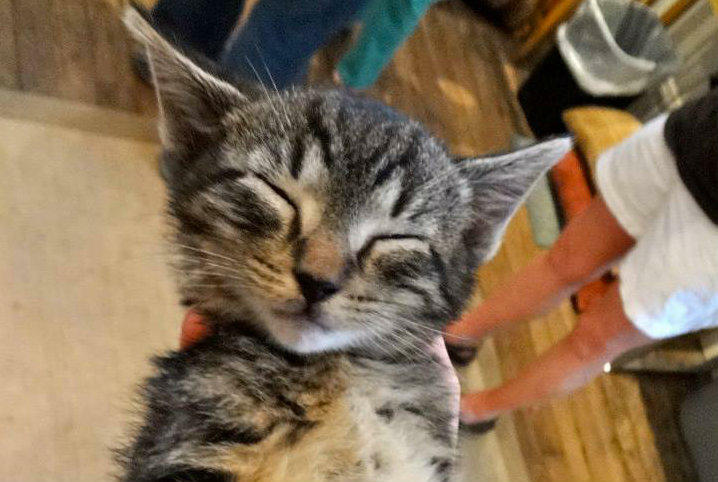 “It’s that many more feet on the street, that many more eyes looking out for a cat, and in this case it had a happy ending,” Doyle said. But in some ways, it's just beginning. Followers are making posters and T-shirts. Matt's return was even celebrated over the weekend in a Pensacola, Fla. nightclub with a band playing an original, impromptu song. If people take away anything from this ordeal, Murphy said, it should be about making sure pets can be identified if they get away from home. "Everyone should get their pets chipped," Murphy said. Meanwhile, inside the Murphy home, Matt and Oliver are getting reacquainted, and Murphy can finally get back to her life. Still, there's talk of a Matt the Cat day, possibly next year on the anniversary of his homecoming. "If that happens, I'd like for it to be a day that people volunteer to help animals," Murphy said.